Since its forming in 1992, the distinct song writing style keeps rousing keen rock fans who fed up with major Karaoke-rock, while inspiring fellow and follower musicians such as Number Girl, Hidaka from Beat Crusaders,Condor44, etc. Cornelius and Ian Masters (ex.Pale Saints) were so lured by her music that released her stuff from their labels, Trattoria and Friendly Science, that result in good chart actions and total sales of 22,000 copies. 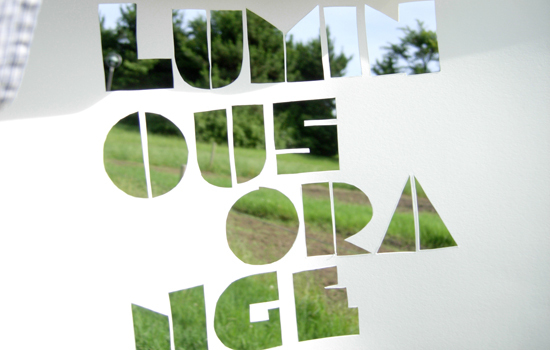 Luminous Orange consists of Rie–singer, guitarist & songwriter, supported by reliable fellow musicians. Layers of delicate female voices with glittering,sometimes harsh guitars & synth on aggressive rhythms with hints of bossanova ,electronica, classic impressionism. It dazzles!! Chosen as a performer for Colette’s millenium party in Paris, CMJ Music Marathon 2001 & 2004, SXSW2006 and SXSW2007!! Rie also sang on a couple of tracks of Ian Masters’ Friendly Science Orches! tra, the single “Miniature Album”was selected as Single of The Week of NME. Ian also sang on Luminous Orange as a guest vocalist, for a couple of times. Though excluding the latest album “Sakura Swirl”, that was released from NY based Music Related, few Luminous Orange materials are distributed outside Japan,some CDs are available from official Luminous Orange website(http://www5a.biglobe.ne.jp/?luminous), tonevendor(http://www.tonevendor.com/) , and CD Baby(http://www.cdbaby.com/). also MP3s are available from iTunes Music Store. Anyway, the new album “Sakura Swirl” is being distributed in the US and Europe and Japan!! They are also active in playing abroad. Although they couldn’t meet the request to play at Collette Millenium Party in Paris 2001 and CMJ Music Marathon2001(due to 911), they played atCMJ 2004, SXSW2006 & 2007 and got good critics. And in Taiwan, they participated Formoz Festival 2007, at which Yo La Tengo, Buffalo Daughter, also played.